Dream Villa, Frontline sea and beach, large infinity swimming with Jacuzzi. 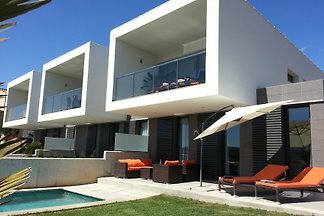 6 large bedrooms, 4 full bathrooms including 2 with jacuzzi, terraces 250 sqm. 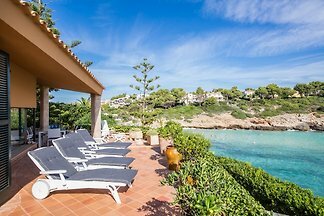 This chalet in Cala Mandia has breathtaking sea views and can comfortably accommodate 6 people. Fantastic holiday home with pool, 5 minutes walk to 2 fantastic beaches. from 5 3 holiday homes & accommodations in Cala Mandia were rated with an average of 4.9 out of 5 stars ! 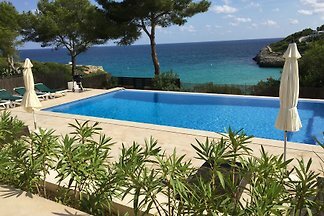 Rent successfully your holiday flat or holiday home in Cala Mandia in only 20 minutes !